SandForce was first to announce and preview its 2011 SSD controller technology. We first talked about the controller late last year, got a sneak peak at its performance this year at CES and then just a couple of months ago brought you a performance preview based on pre-production hardware and firmware from OCZ. Although the Vertex 3 shipment target was originally scheduled for March, thanks to a lot of testing and four new firmware revisions since I previewed the drive, the officially release got pushed back to April. 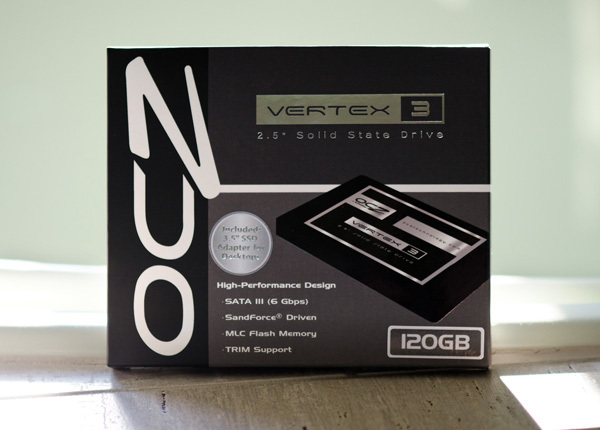 What I have in my hands is retail 120GB Vertex 3 with what OCZ is calling its final, production worthy client firmware. The Vertex 3 Pro has been pushed back a bit as the controller/firmware still have to make it through more testing and validation. I'll get to the 120GB Vertex 3 and how its performance differs from the 240GB drive we previewed not too long ago, but first there are a few somewhat-related issues I have to get off my chest. Last month I wrote that OCZ had grown up after announcing the acquisition of Indilinx, a SSD controller manufacturer that was quite popular in 2009. The Indilinx deal has now officially closed and OCZ is the proud owner of the controller company for a relatively paltry $32M in OCZ stock. The Indilinx acquisition doesn't mean much for OCZ today, however in the long run it should give OCZ at least a fighting chance at being a player in the SSD space. Keep in mind that OCZ is now fighting a battle on two fronts. Above OCZ in the chain are companies like Intel, Micron and Samsung. These are all companies with their own foundries and either produce the NAND that goes into their SSDs or the controllers as well. Below OCZ are companies like Corsair, G.Skill, Patriot and OWC. These are more of OCZ's traditional competitors, mostly acting as assembly houses or just rebadging OEM drives (Corsair is a recent exception as it has its own firmware/controller combination with the P3 series). By acquiring Indilinx OCZ takes one more step up the ladder towards the Intel/Micron/Samsung group. Unfortunately at that level, there's a new problem: NAND supply. NAND Flash is not unlike any other commodity. Its price is subject to variation based on a myriad of factors. If you control the fabs, then you generally have a good idea of what's coming. There's still a great deal of volatility even for a fab owner, process technologies are very difficult to roll out and there is always the risk of issues in manufacturing, but generally speaking you've got a better chance of supply and controlled costs if you're making the NAND. If you don't control the fabs, you're at their mercy. While buying Indilinx gave OCZ the ability to be independent of any controller maker if it wanted to, OCZ is still at the mercy of the NAND manufacturers. Each NAND supplier has its own list of parts with their own list of specifications. 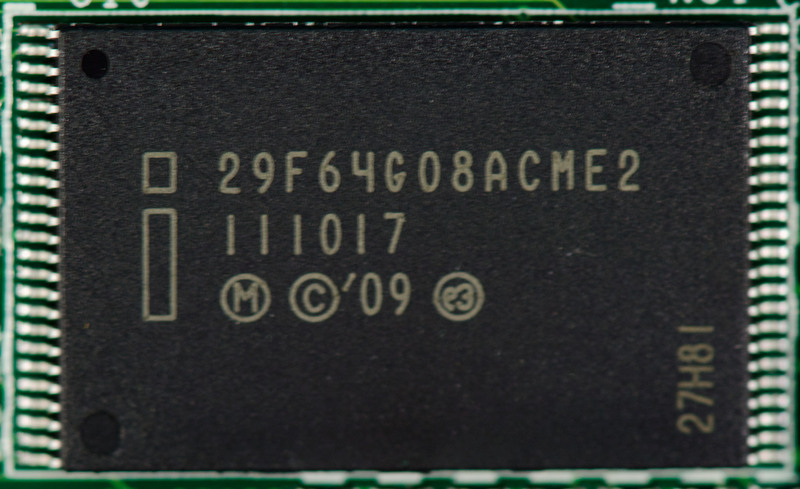 While they're generally comparable in terms of reliability and performance, there is some variance not just on the NAND side but how controllers interact with the aforementioned NAND. Approximately 90% of what OCZ ships in the Vertex 2 and 3 is using Intel or Micron NAND. Those two tend to be the most interchangeable as they physically come from the same plant. Intel/Micron have also been on the forefront of driving new process technologies so it makes sense to ship as much of that stuff as you can given the promise of lower costs. Last month OWC published a blog accusing OCZ of shipping inferior NAND on the Vertex 2. OWC requested a drive from OCZ and it was built using 34nm Spectek NAND. Spectek, for those of you who aren't familiar, is a subsidiary of Micron (much like Crucial is a subsidiary of Micron). IMFT manufactures the NAND, the Micron side of it takes and packages it - some of it is used or sold by Micron, some of it is "sold" to Crucial and some of it is "sold" to Spectek. Only Spectek adds its own branding to the NAND. The 34nm Spectek parts pictured above are rated at 3000 program/erase cycles. I've already established that 3000 cycles is more than enough for a desktop workload with a reasonably smart controller. Given the extremely low write amplification I've measured on SandForce drives, I don't believe 3000 cycles is an issue. It's also worth noting that 3000 cycles is at the lower end for what's industry standard for 25nm/34nm NAND. Micron branded parts are also rated at 3000 cycles, however I've heard that's a conservative rating. If you order NAND from Spectek you'll know that the -AL on the part number is the highest grade that Spectek sells; it stands for "Full spec w/ tighter requirements". I don't know what Spectek's testing or validation methodology are but the NAND pictured above is the highest grade Spectek sells and it's rated at 3000 p/e cycles. This is the same quantity of information I know about Intel NAND and Micron NAND. It's quite possible that the Spectek branded stuff is somehow worse, I just don't have any information that shows me it is. OCZ insists that there's no difference between the Spectek stuff and standard Micron 34nm NAND. Given that the NAND comes out of the same fab and carries the same p/e rating, the story is plausible. Unless OWC has done some specific testing on this NAND to show that it's unfit for use in an SSD, I'm going to call this myth busted.